Before going into real estate, Jamie and I both worked in title and escrow and we were always amazed when we saw transactions unravel and nerves fray near the close of escrow due to things that could have been resolved had they been tackled weeks or months earlier. So from the moment we activated our real estate licenses back in the 1990s, we’ve made it a habit to look for potential title flaws ahead of time. Fix them when there’s still plenty of time to do so and nobody gets gray hairs or loses any sleep. But wait until you’re in escrow to try to solve a problem and things can get very dicey. I mention that as a prelude to a story about a sale we were involved in a few years back. We were representing buyers in a transaction that almost self-destructed shortly after we opened escrow due to a very unusual title issue. But it was something that could have been detected months before the home ever came on the market had the listing agent examined the condition of title ahead of time. The owner had passed away four or five months earlier and her children were handling the sale. The offer was signed by one of the children, acting as successor trustee, as his mom had held title in a living trust. It wasn’t until we got a copy of the title report that we saw a potential fly in the ointment. It showed the mom’s name as owner but didn’t indicate that it was in a trust. I called the title company, figuring it was just a clerical error by one of their title examiners. Unfortunately, after double-checking it, they reaffirmed that title had never been transferred into mom’s trust. The solution, according to the escrow officer, was simple: just have mom execute a new deed putting the home into her trust. Just one problem…mom was no longer alive. Suddenly, a seemingly minor problem turned into a huge problem. For since the home wasn’t in the trust, the seller was likely looking at a lengthy and costly probate process. And our clients would either have to wait for probate to conclude or pull out of the deal and find another home. When I broke the news to the listing agent, she immediately called the seller, who insisted that the home indeed was in mom’s trust. He had met with an attorney several months earlier and said he had seen a copy of the deed putting the home into her trust. Well here’s where the matter really went kaflooey. He brought in a copy of the deed. But when we looked at it, we saw that the recording stamp was from Contra Costa County. And the home was located in Solano County. 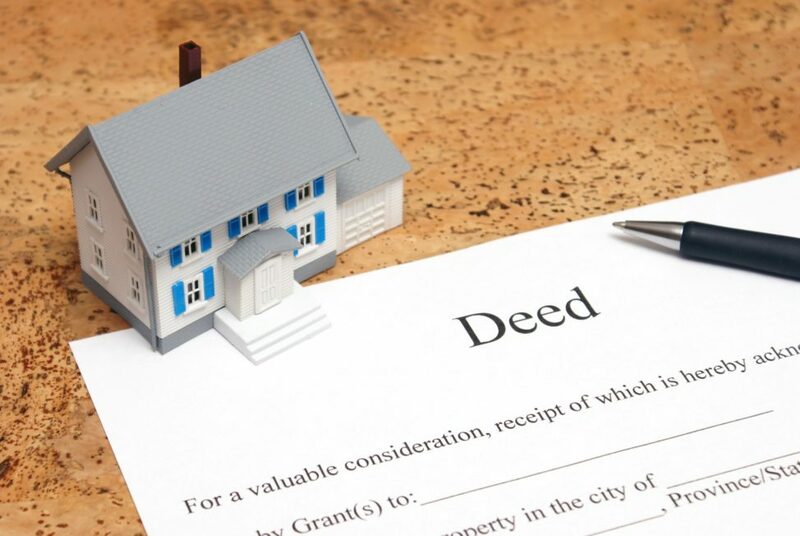 Since a deed must be recorded in the county where the property is located, this deed was not “of record”, so the title company couldn’t insure our buyer’s title. And you can’t get a loan without title insurance. So essentially, the deal was off. Our escrow officer explained the situation to the Solano recorder’s office and after discussions with various department heads, Solano unexpectedly agreed to take a copy of the document from Contra Costa and record it in Solano County. Thankfully, because of our escrow officer’s relationship with the county recorder’s office and because the recorder’s office used common sense and realized that no one was trying to do anything fraudulent, the deed recorded, the title company was able to issue title insurance and escrow closed. I’d call this a comedy of errors were it not for the fact that there really was no humor in any of it. The first error was by the attorney who drafted the deed. He should have known which county to take the deed to for recording. The Contra Costa’s recorder’s office was also at fault, as it never should have accepted the deed. Had they rejected it and advised the attorney why, the attorney could have fixed the problem right away by taking the deed straight to Solano County. Had the owner’s son noticed the Contra Costa recorder’s stamp while mom was still alive, she could have signed a new deed for recording in Solano County. And finally, had the seller’s agent obtained a title report up-front, she likely would have discovered the error and they could have addressed the problem before putting the home on the market. But instead, everyone endured about a week of uncertainty and frayed nerves shortly after escrow opened. This is no knock on the legal profession, but this isn’t the first time that we’ve encountered situations where an attorney prepared and recorded documents for a property owner that years later caused major title issues. So I’ve always been an advocate of checking your title whenever new documents have been recorded, just to make sure things were done right, so you won’t encounter title problems later on. If you discover an error right away, it’s easy to correct it. But discover it after the signer has passed away and something that seems like a small pebble in the road can quickly turn into a huge boulder, just like that. The moral of the story — if you’re planning to sell, make sure all your ducks are Really in a row before putting your home on the market.